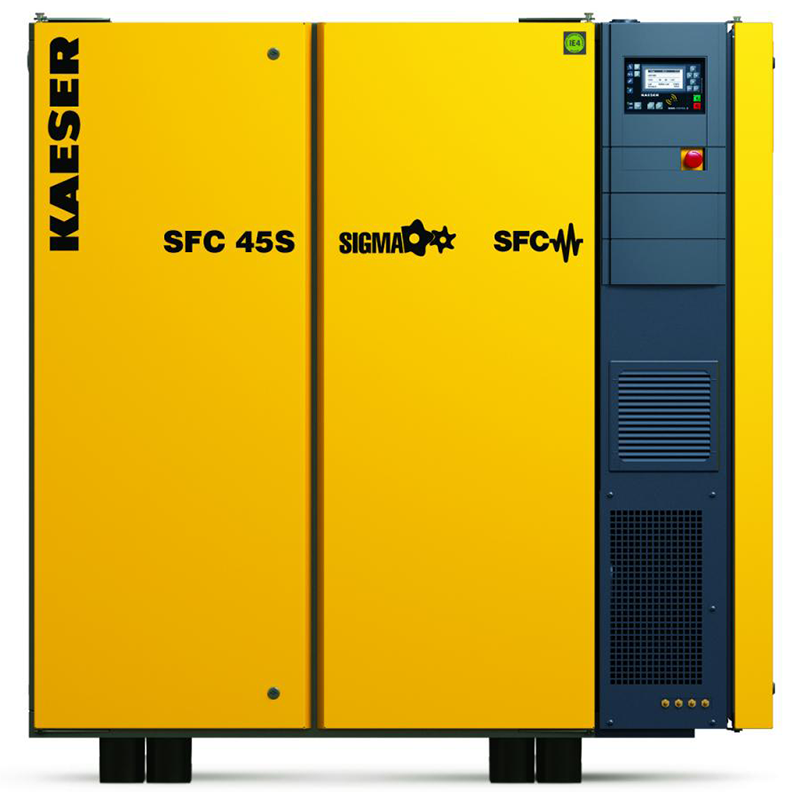 Kaeser’s Sigma Frequency Control (SFC) compressors combine our Sigma Profile airends and revolutionary Sigma Control system with the latest in variable frequency drive (VFD) technology. Kaeser uses large, optimized airends turning at slower speeds for more efficient performance across the entire speed range. 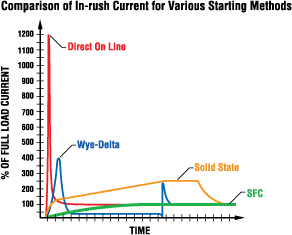 SFC units go from zero to full load without current spikes or excess heat rise. This allows unlimited motor starts, and since the SFC drive yields a “near unity power factor,” power factor penalties are also eliminated. SFC compressors precisely control system pressure to ±2 psig using highly accurate sensors and the Sigma Control System to control motor speed. This eliminates “overpressurizing” and increases energy savings – after all every 2 psig saved in overpressurizing reduces power consumption by 1%! SFC drive systems feature electromagnetic interface (EMI) filters, contactors for galvanic separation and line reactors for superior protection. Drive cabinet cooling fans maintain proper operating temperatures even under extreme ambient conditions. SFC drive systems are designed with an electromagnetic interference filter that eliminates or isolates all feedback, and prevents harmonic distortion from entering the plant’s electrical grid.